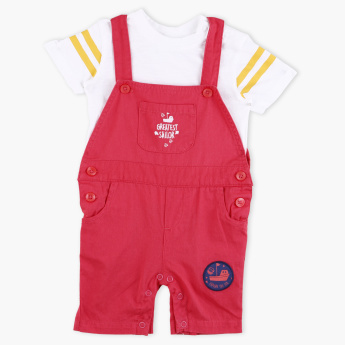 Dress your boy in this adorable set of t-shirt and dungarees to make him look stylish and comfortable. The button closure at the seat ensures ease of changing diapers. 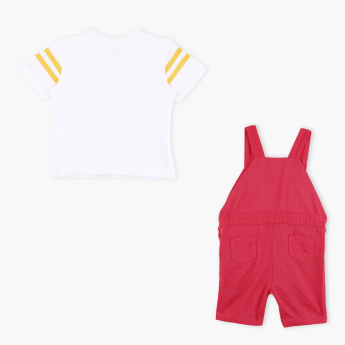 With contrasting tones of the t-shirt and dungarees, this set is an attractive buy.